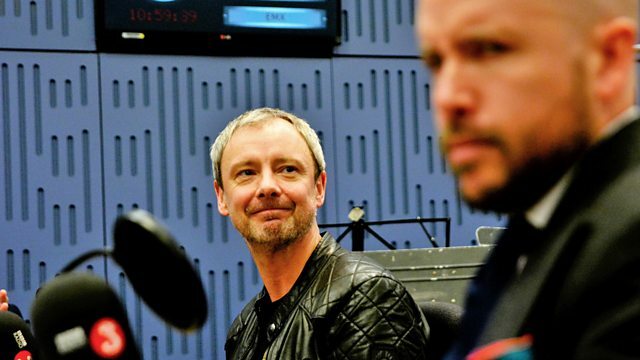 Clive Anderson and Tom Allen are joined by Sean Hayes, John Simm, Jessica Swale and Bridget Christie for an eclectic mix of conversation, music and comedy. With music from Ezra Furman and The Visions and Geowulf. 'Collateral' starts on BBC Two on 12th February at 21.00. 'Trauma' also starts on ITV on 12th February at 21.00. 'Will & Grace' is on Fridays at 22.00 on Channel 5. 'Bridget Christie’s UTOPIA' is on Wednesdays at 18.30 on BBC Radio 4. 'The Jungle Book' is touring until 12th May. 'Transangelic Exodus' is available on 9th February on Bella Union. ‘Great Big Blue’ is available on 16th February on 37 Adventures.